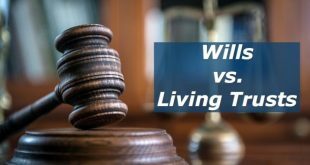 Home / Education / Paralegal Certification NYC: How Much And How Long? Paralegal Certification NYC: How Much And How Long? The Bureau of Labor Statistics reports that there are more than 22,000 paralegals working in the state of New York, and many of them are employed in New York City. Paralegals here are not required to meet any certain educational or licensing requirements in order to work in this profession. Although there are no formal educational requirements needed for paralegal certification NYC, many who work in this profession have at least an Associate’s degree. The Empire State Alliance of Paralegal Associations (ESAPA) recommends standardized education for legal assistants throughout the state of New York. As such, those who complete an academic program that is approved by this organization will usually have an advantage over others when it comes to finding employment. There are a number of paralegal certifications nationwide that are recognized by New York attorneys. One of the most popular is the certified paralegal exam (CP), which is offered by the National Association of Legal Assistants. This certification requires taking a written exam and then completing a certain number of continuing legal education courses in order to keep one’s license current. The National Federation of Paralegal Associates (NFPA) also offers a paralegal core competency exam for those who have completed certain educational requirements, and a paralegal advanced competency exam for individuals who have the right combination of education and practical work experience. With at least a paralegal certificate, NYC paralegals stand a better chance of finding higher-paying jobs. 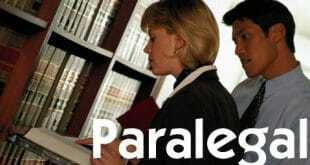 The cost of obtaining paralegal certification NYC will depend upon the exact license one desires. The cost of sitting for the paralegal core competency exam is currently $215, which does not include the cost of study materials. These exams can be taxing, which is why it’s generally recommended you have at least an associates degree in something, in this case paralegal studies, before attempting them. The cost of the paralegal advanced competency exam is $325, which includes an application fee and an examination fee. Membership in NALA is required in order to take that organization’s exam, and dues are $75 annually. There are several organizations that help NYC paralegals locate job opportunities or answer questions about licensing requirements. The New York City Paralegal Association (NYCPA) is perhaps the biggest organization, and has active and associate memberships available. Other groups include the Empire State Alliance of Paralegal Associations, (ESAPA), the Western New York Paralegals Association (WNYPA) and the Capital District Paralegal Association (CDPA). Although paralegal certification NYC is not required, it can still be helpful for those who are looking for work in this career field to do so. Passing a licensing exam will provide candidates with more opportunities for networking, and will also help establish the fact that they are knowledgeable in the work required in this profession.